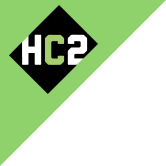 Investor FAQs | Investor Relations | HC2 Holdings Inc.
Where is HC2's corporate headquarters? The company is headquartered in New York, New York. What is HC2's fiscal year? Who is HC2's transfer agent? You can access your account information online. An AST shareholder services representative can be reached at 800-937-5449 between the hours of 8 a.m. and 8 p.m. Eastern Time, Monday through Friday. An Interactive Voice Response System is available 24 hours a day, seven days a week. Shareholders can access information on AST's website at https://www.amstock.com/main/default_shlogin.asp. Shareholders can email inquiries to info@amstock.com. If I have questions about the company, who can I contact?